Your opinion matters. Leave your review of Victory Square Men's Shelter. 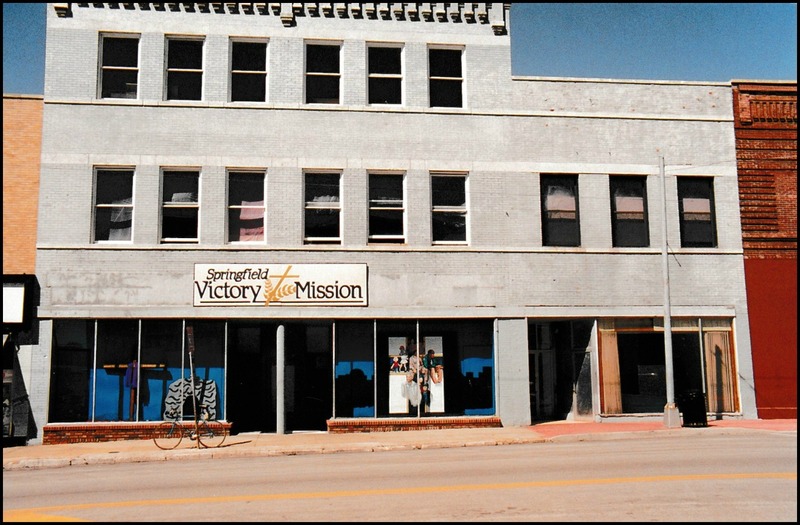 Description: Victory Square is the largest homeless men shelter in Springfield and the Ozarks with 150 beds. We provide our shelter guests with a clean, safe and sober place to stay, and the support they need to get back on their feet. Here, they receive a bed to sleep on, nutritious meals, healthcare services and access to the 12/12 Program, Bible studies, life skills courses and Christian counseling. The gospel message of Jesus Christ is presented in nightly chapel services and through ongoing interaction with staff and volunteers. Transitions - Free lodging for 30 to 90 days. Lodge - Unlimited stay in four- to eight-men bedrooms for a small nightly fee. Student Dorms - Lodging for Victory Trade School students. Do you have items to donate? Contact Victory Square Men's Shelter at the phone number provided above to see if they can use any items you may have to donate.